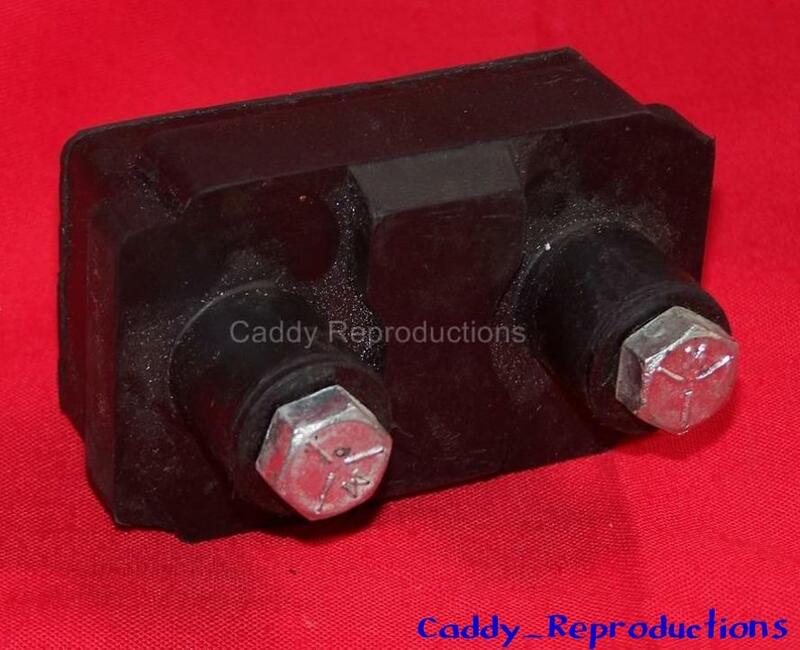 Here is a New Cadillac Rear Transmission Mount Bracket for 1941 - 1960 Hydromatic transmission. 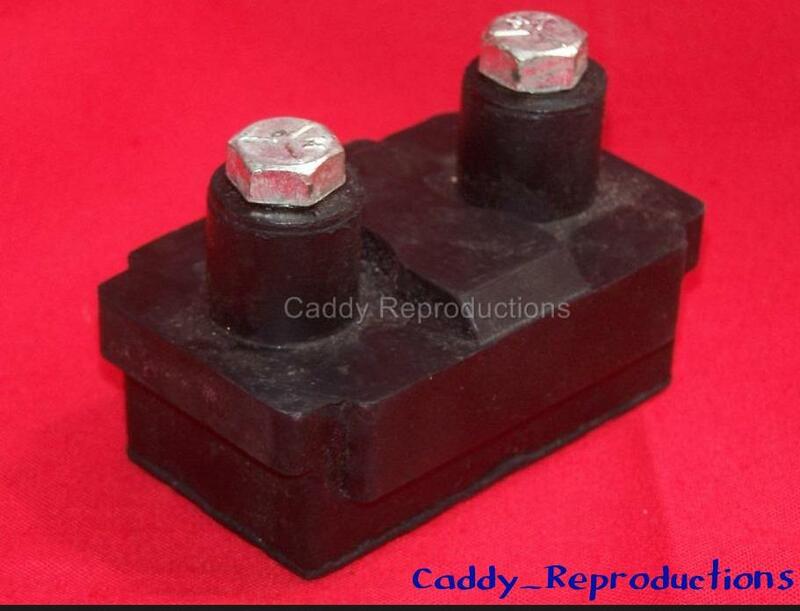 These are made of a Bonded Cushioned Rubber with metal screw inserts as original. If you are finishing a restoration or rebuild, now would be a great time to replace this. You must use your original metal housing. We also offer the motor mount brackets in the store.